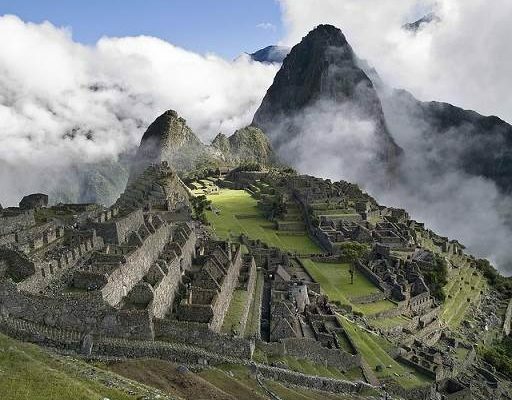 To speak of the Historical Sanctuary of Machu Picchu is synonymous to that of great mysticism and beauty. Because of it, visiting this locale is a must on the list for those that love tourism. For those that are not deeply familiar with it, Machu Picchu is a citadel located at the top of a mountain that is surrounded by the lush greenery produced by the jungles also located nearby. An interesting fact is that it’s made its way through history without any kind of notice until the year 1911, when it was discovered by Hiram Bingham. In more general terms, Machu Picchu is not only an architectural gem of Incan times, but it is also represents the maximum expression of the relationship that existed between man and his environment at the time. For this reason, three decades ago in 1983, UNESCO categorized Machu Picchu as a World Heritage site. It was constructed somewhere in the middle of the XV century and according to certain documents, it could have been the home and/or final resting place of Pachacutec. Nevertheless, due to the ceremonial feel and character of it, its thought that it could also have been a religious sanctuary. Machu Picchu is in perfect balance with nature. The beautiful landscape expresses nature’s amazing palette in shades of green which embrace the visitor with a sense of inexplicable calm. Those that have visited will say that it is such an amazing place, that it’s almost a surreal experience. There are two ways to get to Machu Picchu. One of them is to take the Hiram Bingham road, which winds its way up the cliffside of the mountain, starting at the Puente Ruinas train depot. Meanwhile, the second option is to take the Incan roads that will lead you to Machu Picchu. You should know though, that taking either route won’t get you out of paying the entrance free into the ruins. Regarding the weather and climate that prevails over Machu Picchu; typical weather tends to be warm and humid during the day and night as well. Usually the temperature fluctuates between eight and twenty-two degrees Celsius (approximately 45 to 70 degrees Fahrenheit ); it’ll rain often and quite excessively between the months of November and March. It should be noted that the rain is quite heavy, although it’s also common that it’ll quickly alternate between heavy rains and intense, bright sunshine. Here’s a bit of advice that you might want to keep in mind: When you visit Machu Picchu, you should definitely carry some bug repellant with you to keep from getting mosquito bites. Also, don’t forget to carry water or some other kind of beverage that will quench thirst; you’ll mainly be walking while you’re here, and you’ll need to keep hydrated. No doubt you’ll want to make sure you wear comfortable shoes, but durable ones. A quick solution would be to buy a pair of hiking boots or trekking shoes, since they’d be ideal for going up all the solid stone steps and uneven terrain at Machu Picchu. Machu Picchu attained another distinction a few years ago, when it was declared to be one of the Seven New Wonders of the World. A special feature of this distinction- which was received in Lisbon, Portugal- is the fact that this selection was made after receiving over 1 million worldwide votes.